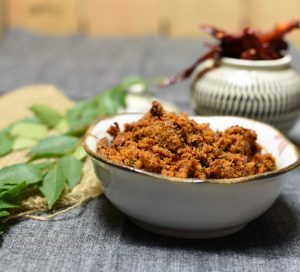 This coconut chilli chutney is inspired by a spicy cuisine of Andhra Pradesh (A state in South India), the Andhra food is just delicious, finger lickingly good and spicy which I love. 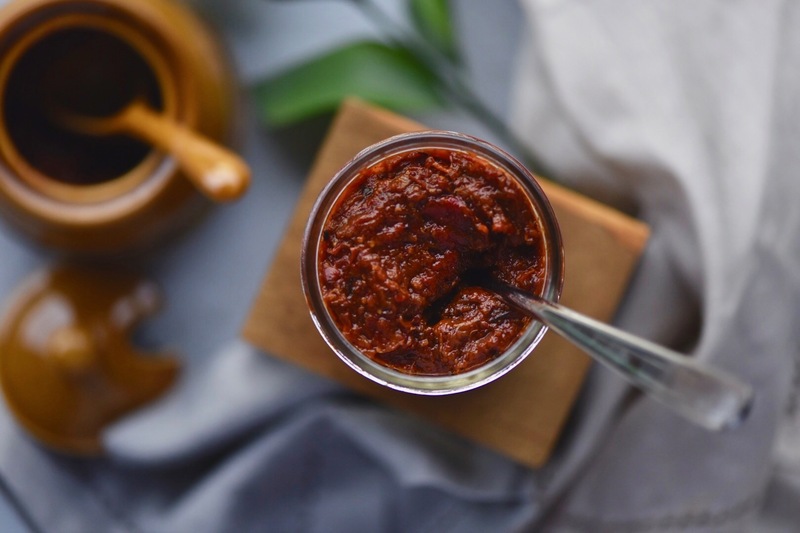 This is a very easy chutney, you can store it in the fridge up to 2 weeks and in the freezer up to 1 month. 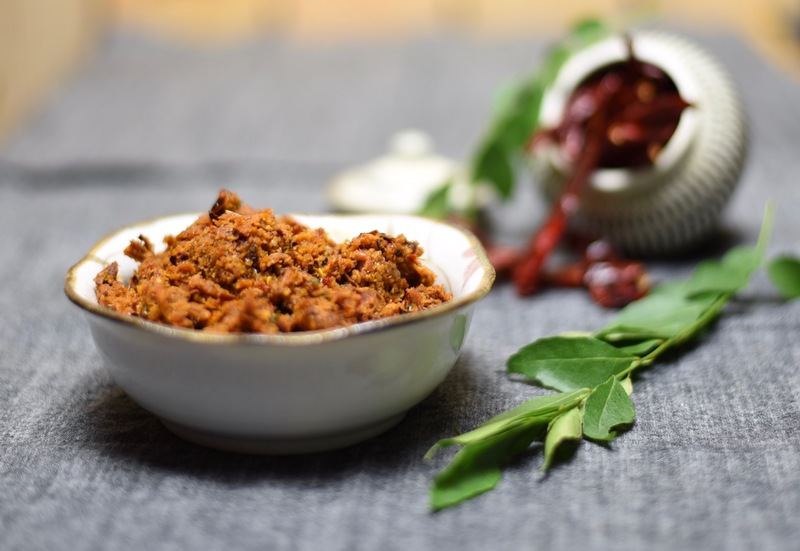 Serve this chutney with you rice and rotis as a side, I am sure you will like it too. 1 tbsp tamarind soaked in 1 tbsp water. Heat oil, add chana lentils and fry till they are golden, add the urad dal and continue till it turns golden. 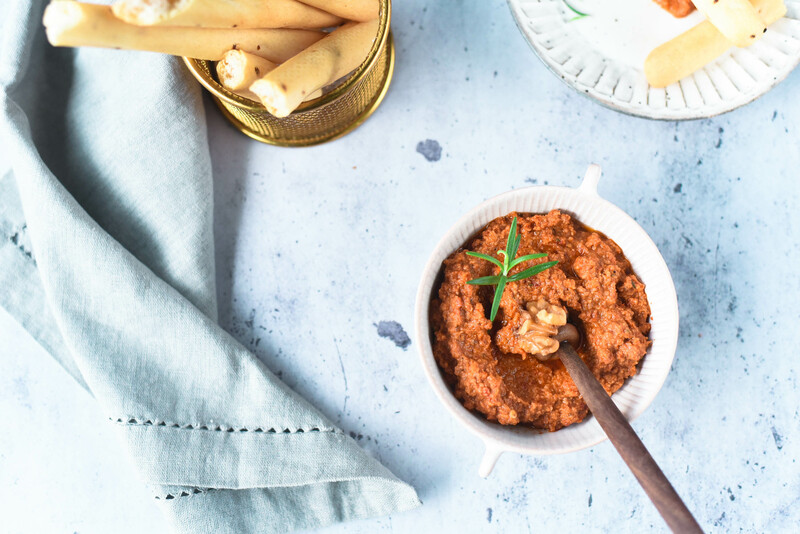 Add the curry leaves, dried red chillies, garlic, green chilli and coconut, keep stirring till the coconut becomes golden brown. Now add the coriander, jaggery, salt and tamarind with the water. 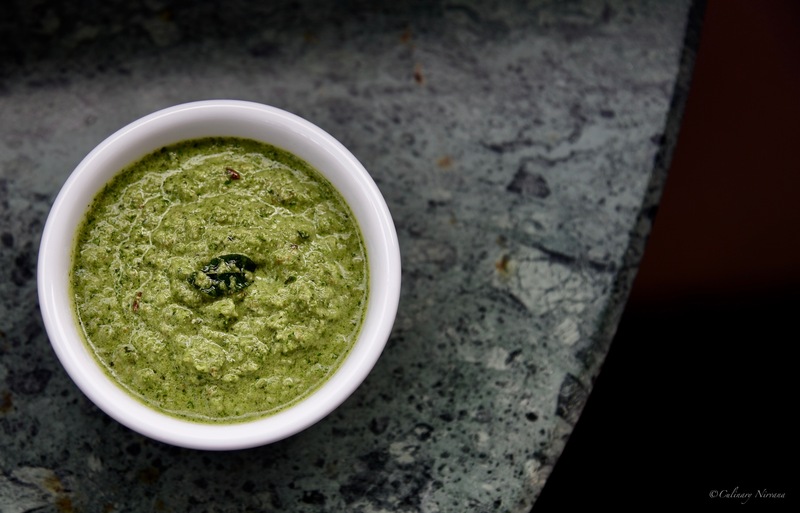 Let it cool and make a chutney in the pestle mortar or in blender using very little water. For tempering, heat oil and add split black gram, let it turn golden and add mustard seeds and asafoetida. Let the seeds splutter, add the turmeric powder and red chilli and turn the gas off. Pour this over the chutney.